UAE National Day is just about here and with that, the many achievements and tremendous development in all sectors of the country. HEALTH speaks to residents and citizens alike in the creative sectors about this awe-inspiring success. I’m in awe of how the UAE has transformed itself in such an unimaginably short span of time, and needless to say that living here in the midst of that metamorphosis is truly jaw-dropping. maps gets confused at times too! Media is an industry here that’s experiencing a dynamic growth, and it’s a field that’s hugely supported and encouraged by the UAE Government. In fact, His Highness Sheikh Mohammed bin Rashid Al Maktoum was quoted in saying ‘the media serves as the first line of defense to protect the significant achievements of civilization’. So we have a pretty huge responsibility on our shoulders, and are proud to implement it with our best foot forward. Where do you envision Dubai in the next five years? With all the rapid changes taking place right now ahead of the World Expo 2020, and with the support and encouragement from the UAE leadership, it’s easy to see Dubai bounce it’s way to being the Smartest City in the world, and not only is this city looking towards the future, but with all the latest technology already being adopted and utilized here, Dubai has become THE future. Rahma Himid is a creative Emirati entrepreneur who founded Grace & Garbo, a Public Relations and Marketing firm focusing in fashion, entertainment, and F&B industries. 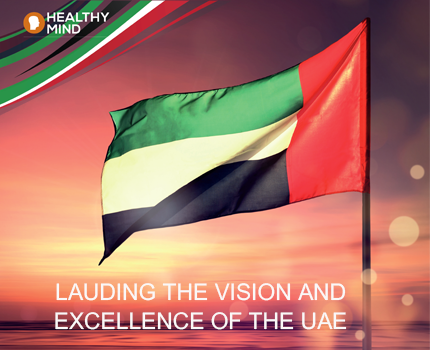 The UAE wins accolades for being at the forefront of unified strategy, consistency, and combined efforts to realize the overall vision. The sky is the limit; in Dubai, we do not conform to the norms. We break records and barriers in our bid to become an example of a modern city. We have 2020 ahead of us however; we are busy projecting post 2020. Our leaders envision for us what we cannot comprehend; this has been instilled from our forefathers so we understand when we have to take the leap of faith. Highness Sheikh Mohammed bin Rashid Al Maktoum personifies a visionary; he leads by example and encourages us not to limit ourselves. development and innovation. Key projects like Dubai Opera, several hotels and shopping malls, (City Walk, Box Park, The Mall) and Dubai Parks will further add to the city’s landmarks, but those are minor milestones. As we prepare to unveil the envisioned Smart City strategy, we see several locations becoming Wifi equipped, and the driverless car tested recently is a testimony of where we are progressing towards. Dubai is a perfect example of how PR strategy should look like. The city’s marketing and PR machine is one of its kind; 45 years ago no one knew where Dubai was, today everyone is here, wants to be here or aspires to be here. This is achieved by a unified strategy, consistency, and combined efforts to realize the overall vision. very important for us as artists. famous artist in the UAE, started in the past in the UAE, but now displays work in famous museums in Europe, and Mohamed Kazim is another. I think Dubai always has something new coming up. Dubai’s art scene is getting more artists coming in with new ideas, and more variety, like work with crystal and glass. And more art related business is coming to Dubai. I believe the Arts & Culture scene in the UAE will have a similar position as the business and economic sectors. America. Furthermore, there are many professional art materials shops in the UAE now readily on-hand for those of us in reative fields. biennials, the Islamic Arts Festival, the Calligraphy Museum, the Islamic Civilization Museum, and the Al Burda Award, to name a few. Insha’Allah, it will be amongst one of the most famous central arts cities in the Middle East as well as one of the top arts cities around the world as always. Meral Jamal is a blogger, writer, and aspiring photographer who enjoys writing and travelling. more youth is moving around on their own at all times without fear of time or place or even transport issues. 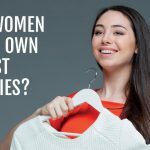 This is especially true for girls, especially as the UAE is so safe. Being a blogger is so fun in the UAE because so many teenagers are now involved in social causes. And they’re all so well connected! I think as a generation, we’re privileged to be able to talk about these things and not feel threatened in countries as open minded as the UAE. I would like to think of Dubai as the hive of young digital creators – bloggers, photographers, YouTubers and viners – who are all part of a large community involved in many humanitarian causes such as tackling gender inequality, discrimination and the like. This country is so culturally diverse and gives you the freedom and respect to be your own person. matters and to the visual arts in particular. encourage artists and supporters of art here in the UAE. The supply of art in the UAE is humongous, but additional demand from the clients/ buyer would be even better. Having seen the current evolution, both architectural and cultural… Dubai will be the place to be and undoubtedly, the center of international art. Swiss Art Gate Uae promotes mutual understanding between Switzerland and the United Arab Emirates through cultural exchange and also organizes events and exhibitions with local, regional, and international artists. For more details, visit: www.swissartgateuae.com demand from the clients/ buyer would be even better.